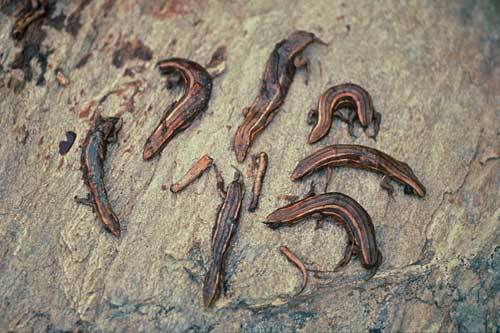 These dead skinks and their tails were recovered from the stomach of a wild cat that had been killed on a road near Nenthorn, in Central Otago. Lizards have little defence against introduced predators such as cats. If caught, lizards can shed their tail, distracting the predator for long enough to escape.